Ya what you read is true! I too was suprised when i found it out. Thanks to Krazy Bluez from the digit forum who pointed it out to me. So before installing the opera mini you can actually test drive it here or in the other sense just for FUN you can give a try. Its too cool and a real geek thing! 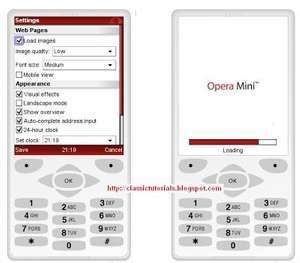 Its actually the opera mini simulator which is made for developers and available to us. Let us know which site did you browsed and which site dint worked out? Because its a simulator so it will be having some drawbacks! One which i found was that i was not able to properly type url in it.